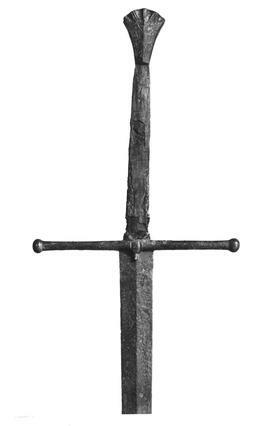 The mighty two-handed sword was used by knights and men-at-arms during the Hundred Years' War. The long grip and heavy blade meant it was wielded with two hands, and could deliver a more powerful blow. 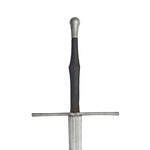 Swords were highly regarded weapons that were typically associated with higher-status soldiers. 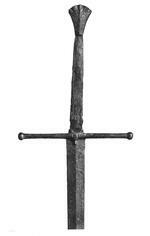 High-quality swords were expensive knightly weapons and they were highly prized. However, shorter and less elaborate swords did serve as sidearms for the common footsoldier. 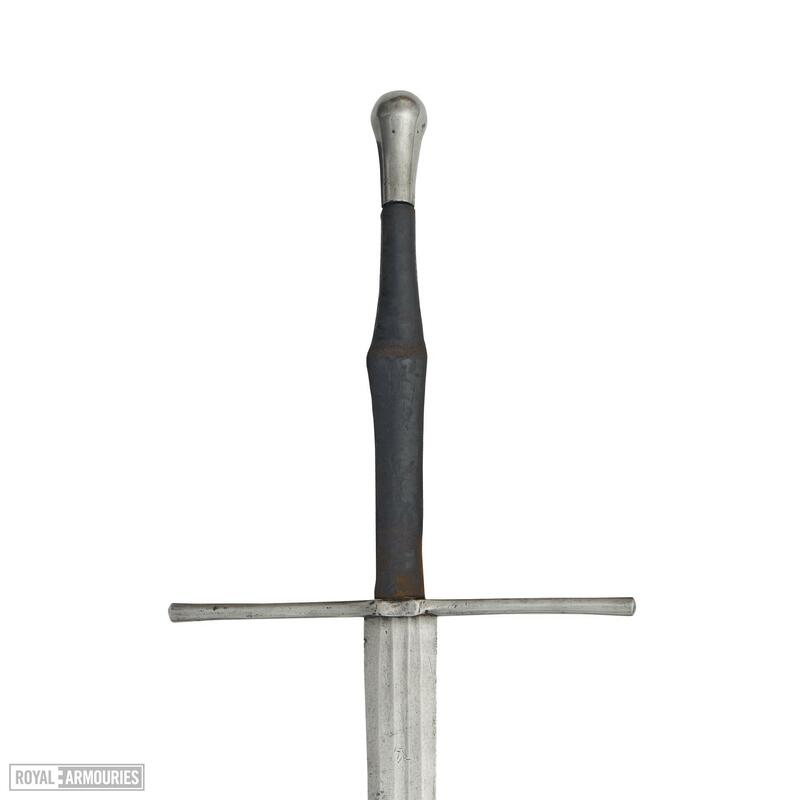 During the Middle Ages, most swords were relatively light and easy to wield, but could still be used to hack through mail armour. By the 15th century, however, larger and heavier swords were developed. The two-handed sword was such a weapon, and its greater weight and length meant it could deliver a more powerful blow to an opponent. 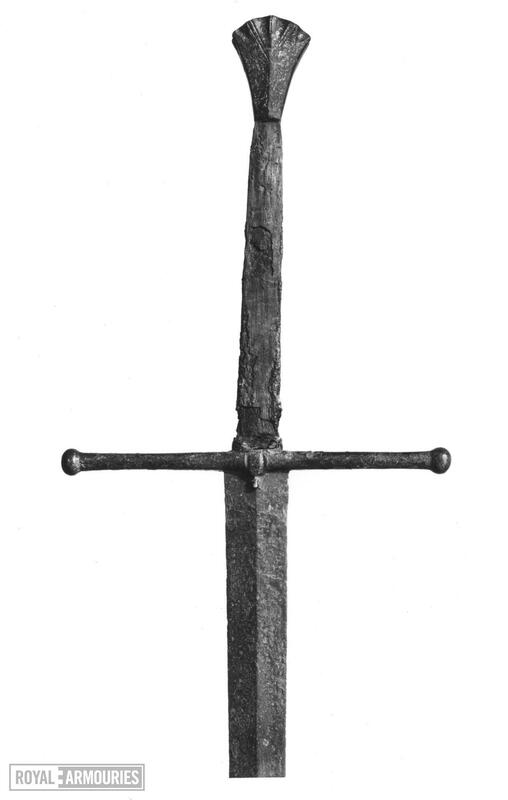 These swords could be up to 1.7 m (5 ½ ft) in length with longer grips for balance. Two-handed swords used in battle would have weighed approximately 5– 7 lbs. The heavier blades of such swords enabled them to attack mail armour more effectively. Although much later, Sir Richard Wingfield (an influential courtier and diplomat in the Tudor period) noted that the two-handed sword was "a whepon dangerous" whose "grete strokes" few could survive without "perisshyng" . One requires space to use a sword fully and effectively, particularly one of this size. In some pockets of fighting, space would have been at a premium. At the Battle of Agincourt, the French had to fight so closely together that they could barely use their swords. As well as being used in battle, two-handed swords were also used for special duties such as the guarding of standards.